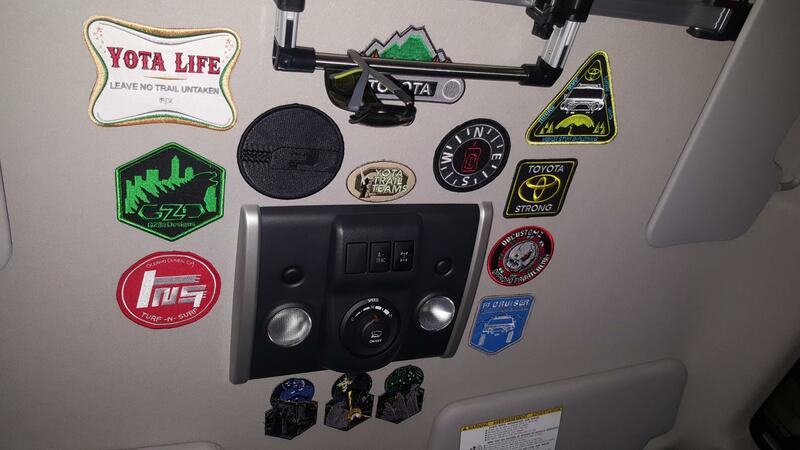 Toyota FJ Cruiser Forum > Toyota FJ Cruiser Discussion > Interior / Exterior Visual Tech > Show us your PATCH collection! Show us your PATCH collection! 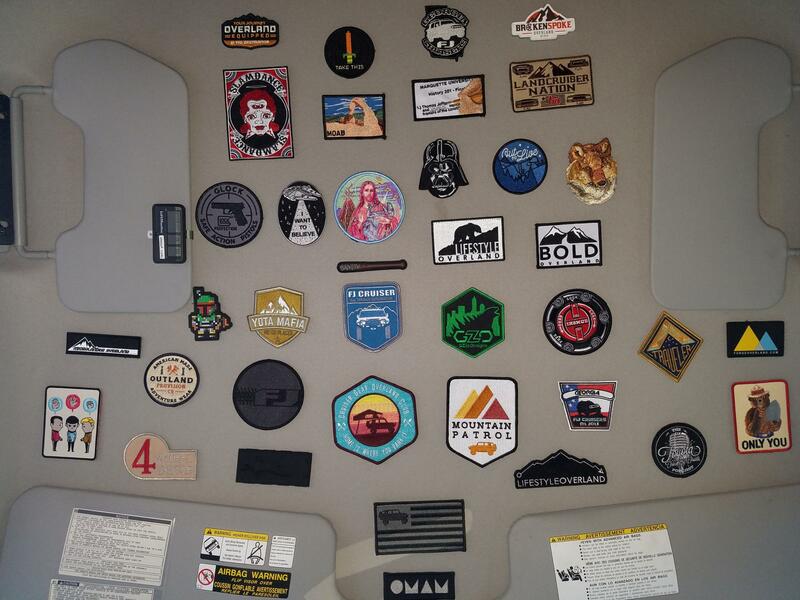 A lot of FJ guys I know collect embroidered patches from events/vendors and display them on the headliner of their rigs. 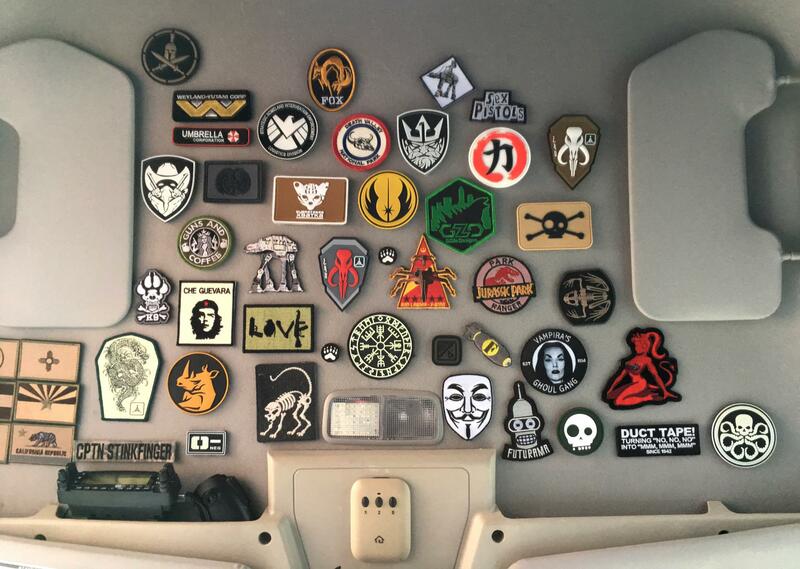 Show us your patch collection! I'll start out with my current collection. It's always growing though. tomwill55, Winterpeg, FAUJI and 5 others like this. Re: Show us your PATCH collection! tomwill55, thane and Papa Dragon like this. tomwill55, zcutt, Zed 71 and 3 others like this. All the mods and vehicles I have ever owned. Anything less than absolute overkill is a half assed waste of time. My current setup as of last weekend. tomwill55, zcutt, thane and 1 others like this. Sadly good FJ patches are getting as rare authentic Trail Teams grill badges. The chief end of man is to glorify God and enjoy him for ever. tomwill55 and CruiserGear like this. 23 Attachment(s) 2012 Tail Lights?